I’ve had an exciting last few weeks that I look forward to talking with you about, but I first want to catch up on some of the great events that I had a chance to be part of in April. 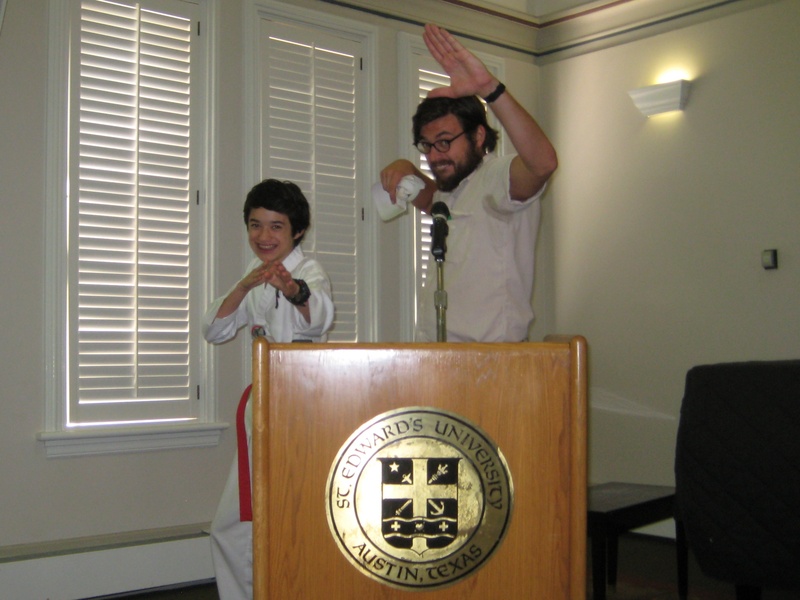 Last year, I was invited to St. Edward’s University in Austin, Texas, to give a talk about Commander Ben and the Invasive Hunter Academy as part of St. Edward’s 2012 Earth Day events. 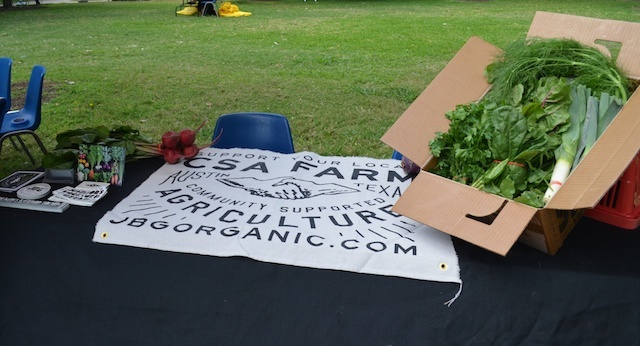 I had a great time and was honored to be invited to bring the Invasive Hunter Academy back on Monday, April 22, to St. Edward’s 2013 Earth Day celebrations. It was a beautiful sunny day and turnout for the event was great. 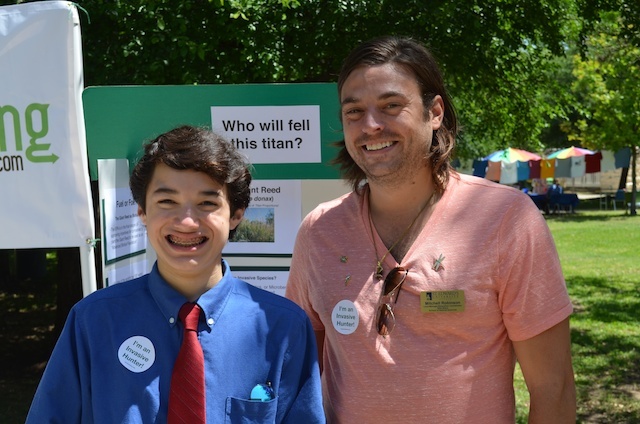 Along with my Invasive Hunter Academy display and poster board about my invasive species nemesis, the Giant Reed (Arundo donax), there were lots of great people there with all sorts of Earth Day activities and information. 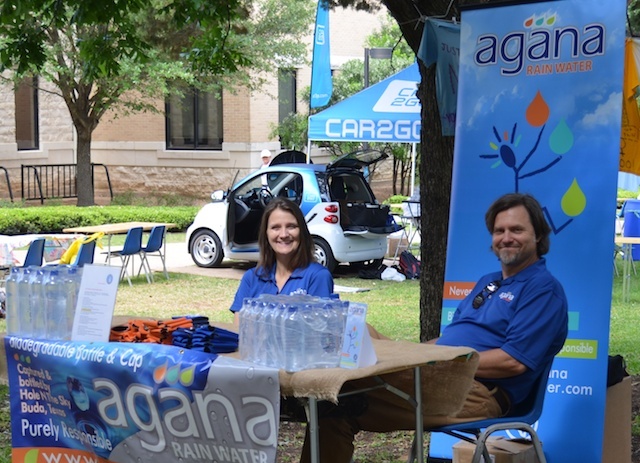 I enjoyed visiting all the tables and meeting some very interesting folks. I want to thank all the people at St. Edward’s for another great Earth Day celebration, and a special thank you to Mr. Mitch Robinson, Education and Land Management Coordinator for Wild Basin Wilderness Preserve, and Ms. Cristina Bordin, Special Assistant to the President and Sustainability Coordinator for St. Edward’s University, who invited me to be a part of this great event. Join the Invasive Hunter Academy and be one of the few. The proud. The fighting naturalists! I had a lot of great experiences the last few weeks and have a number of blog posts to get caught up on, but I wanted to tell you that I’m bringing the Invasive Hunter Academy to St. Edward’s University for Earth Day on Monday, April 22, as part of the university’s Earth Week 2013 program. 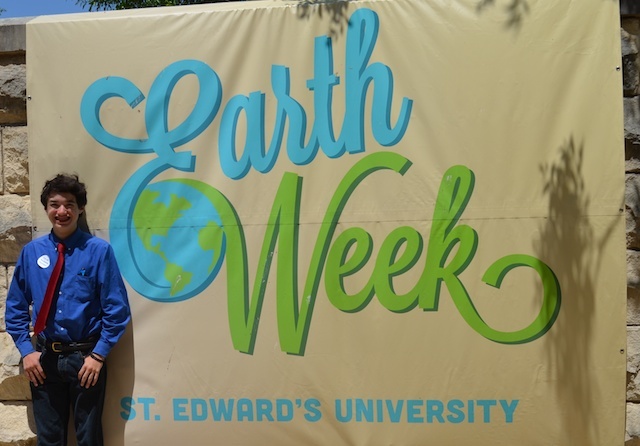 I even created a new logo for the event, which is at the top of this post and is also on the St. Edward’s Earth Week 2013 web page. Hope you like the logo! 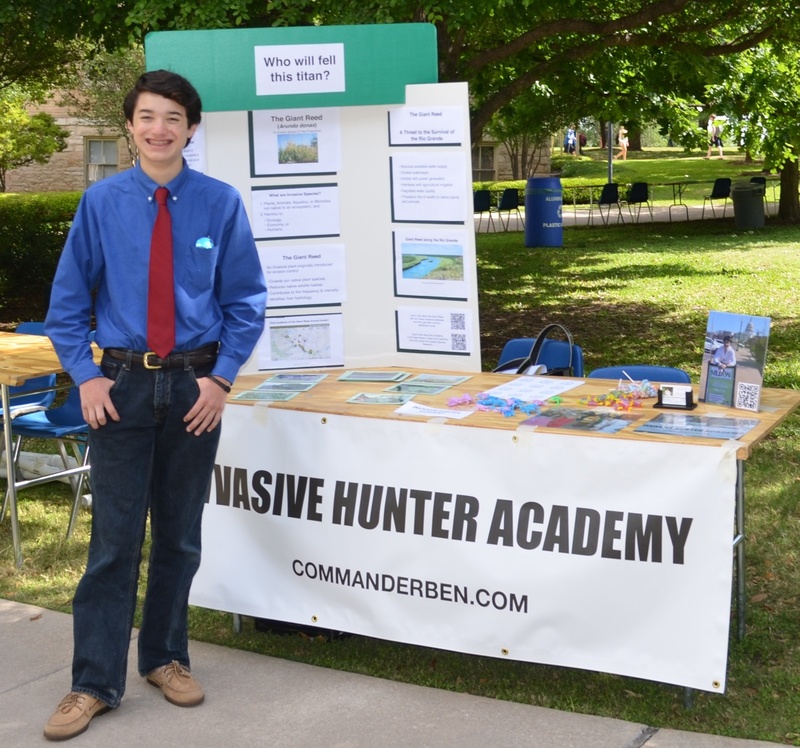 I was at St. Edward’s University last year, and I had a great time speaking to students, faculty, and members of the community about my fight against invasive species and how I developed the Commander Ben blog, videos, and the Invasive Hunter Academy. 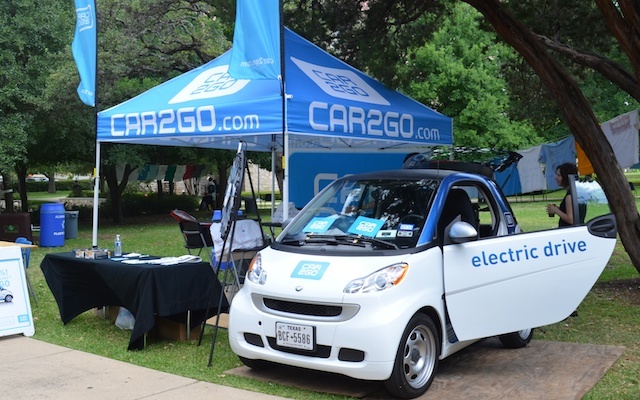 St. Edward’s University Earth Week 2013: What’s Your Solution? 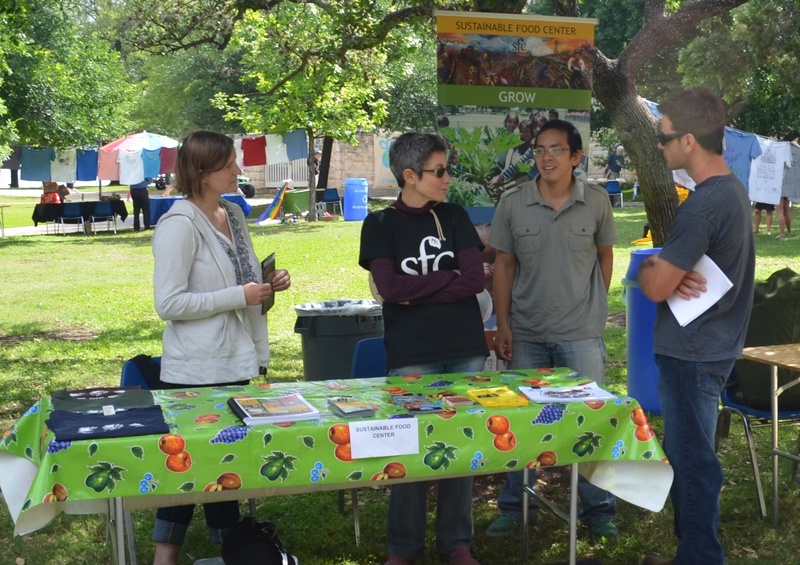 Many thanks to Mr. Mitch Robinson, Education and Land Management Coordinator for Wild Basin Wilderness Preserve, and Ms. Cristina Bordin, Special Assistant to the President and Sustainability Coordinator for St. Edward’s University, for inviting me to be part of their Earth Day 2013 celebrations. At last year’s Texas Invasive Plant and Pest Conference, I had the opportunity to meet Mr. Mitch Robinson, Education and Land Management Coordinator for Wild Basin Preserve. He talked with me about how Wild Basin Preserve fends off invasive species, and I was very impressed by his passion for protecting the preserve’s native ecosystem. We’ve kept in touch since then, and he was so nice to invite me to be part of the Earth Week activities at St. Edward’s University, which were also broadcast on Google+ Hangouts. He was giving a presentation about invasive species on April 19, and he asked me to join him to talk about my experiences battling invasives and teaching others about them. Mr. Robinson started the event by giving an excellent presentation about invasives including several examples and how they affect our environment. I was especially intrigued by the Giant African Land Snail. Why? Because it’s giant and eats houses! Actually, it eats the stucco off houses, but that’s close enough. They can grow up to 8 inches, and eat other snails and over 500 species of plants. They were brought into Florida as pets, but were released in the late 1960s, and Florida State University had to spend millions of dollars to battle them back. It’s a menace to Western Civilization! Afterwards, Mr. Robertson introduced me by first playing my latest video, Native Plant Avengers. When I saw my video played on a big screen in front of an audience, I had a great feeling of happiness because that’s why I make the videos–to help educate people about invasives and for my audience to have fun at the same time. After my video, I talked about how I got started learning about invasives and teaching others. I also took questions from the audience and talked about my Invasive Hunter Academy as part of Kid’s Day during National Invasive Species Awareness Week at the US Botanic Garden. Thank you so much Mr. Robinson and St. Edwards for inviting me to be part of your Earth Day events! It was a lot of fun! Down with invasives!